Carlsbad, California located 35 miles north of San Diego features amazing rental villas, condo rentals and vacation homes. This beautiful area is surrounded by mountains, lagoons and the Pacific Ocean that will provide you with the ultimate vacation experience. While visiting Carlsbad you need to make sure that you spend at least one day at South Carlsbad State Beach. This San Diego Beach allows you to enjoy swimming, surfing, snorkeling, sunbathing, fishing or a picnic on the beach. If you are there with your spouse you can enjoy a romantic walk along the seawall or sidewalk of Carlsbad Boulevard, allowing you to enjoy breathtaking views of the ocean. The mountains and wilderness situated along Carlsbad are absolutely amazing. This diverse terrain offers unlimited opportunities for those who want to enjoy the oudoors and nature. You can enjoy the day going on nature walks or hiking through the mountains. There is also paved walking paths along North Carlsbad State Beach that will lead you to beautiful lagoons, allowing you to walk along them. This is a few miles of pure beauty! Are you into water sports? If so, Snug Harbor Marina is a great area to rent boats, jet skis, canoes and kayaks. You will have an amazing selection to choose from to enjoy the ultimate experience on the water. The Aqua Hedionda Lagoon is an ideal area to take a kayaking trip on. Most likely during your lagoon kayak trip you will see a variety of bird species. The Oceanside Harbor is the perfect spot for kayaking if you are wanting to see a variety of ocean species such as dolphins and sealions. Carlsbad is considered one of Southern California's best places to play golf. There are several first class golf courses in this area, allowing you golf enthusiasts to have an amazing time. Rather you beginner or pro in golf there is that perfect course for you. Now, lets not forget about the dining and shopping in Carlsbad. Rather your in the mood for seafood, steak, barbecue or a simple burger, you will have an amazing selection of places to dine in. There are also plenty of places to shop at while staying at your vacation rental. Carlsbad, California is a fantastic place to spend a week or just a weekend getaway. You will have plenty to do and will enjoy an amazing vacation. 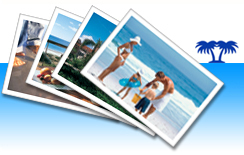 You can view a large selection ofvacation rentals by owneronline at ivacationonline.com and book your next trip to Carlsbad using ourvacation rental software.Your next dream vacation can be planned and booked in just a matter of minutes!